This fishing tackle specialist can now offer an online shopping experience to reach even more customers with this ecommerce web site. A Plone content management system web design gives them complete control over their website allowing them to expand their business. 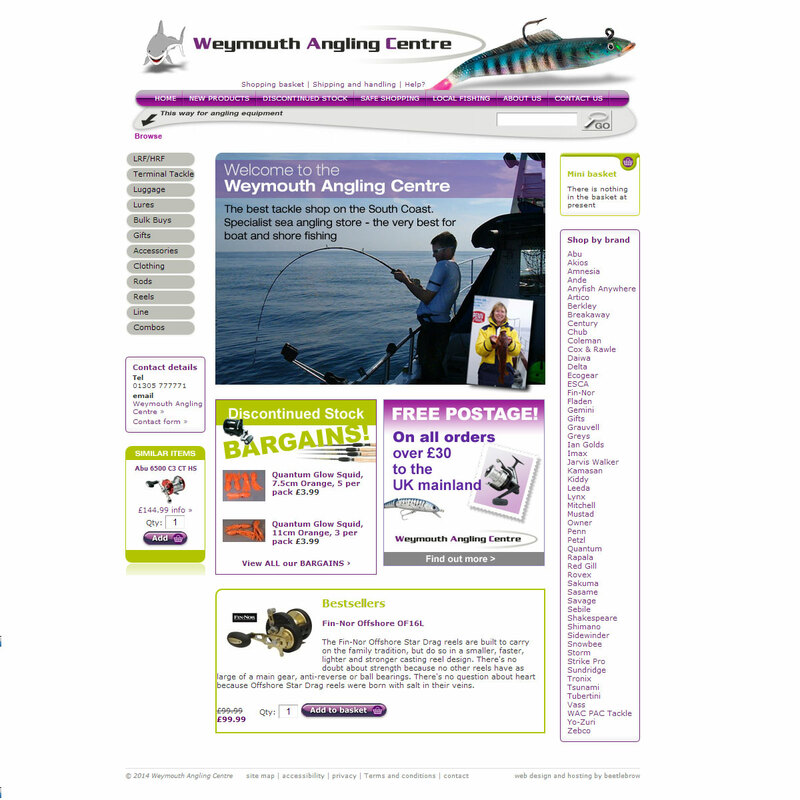 Weymouth Angling Centre required a web site that promotes them as the South Coast's premier fishing tackle supplier making it easier for existing customers to shop again as well as finding more customers from further afield. An ecommerce system provides a dynamic mini shopping basket on each page and an easy to use ordering facility, which together with a powerful search facility and a well thought out bespoke web design allows angling products to be easily found and purchased.